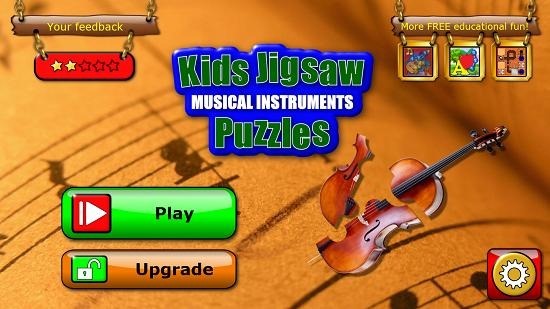 Kids Musical Jigsaw Puzzles is a free puzzle game app for Windows 8 and 8.1. When you run the game you will be presented with a difficulty selection screen followed by a level selection screen. 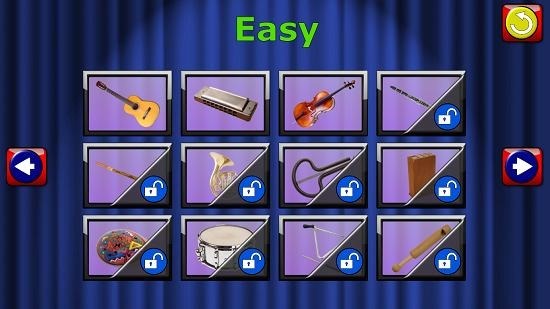 Each difficulty level has a collection of musical instruments which you can form by solving the puzzle – this can be accomplished by dragging and dropping the right pieces in the right places. 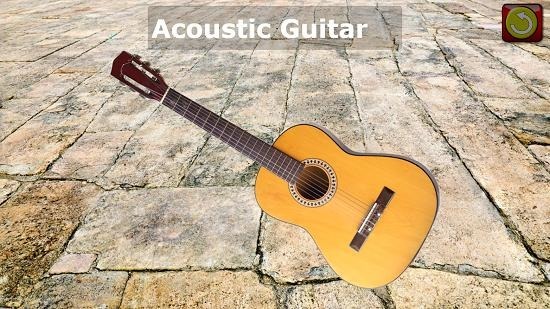 Once the level is complete, the sound of the musical instrument will be played back to you. The game’s difficulty levels ensure that people of all ages can enjoy the game. Kids Musical Jigsaw Puzzles is available for free from the Windows App Store. When you run the game you will see the below shown screen. When you click on the Play button in the screen shown above, you will be brought to the difficulty selection screen which is shown below. 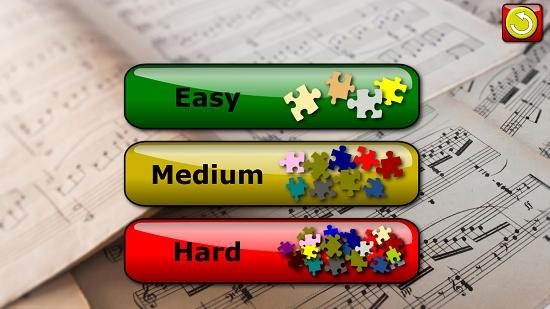 You can choose from any of the three difficulty levels shown in the screenshot above. Once chosen, you will be brought to the level selection screen. You can also switch between the difficulty levels by clicking on the arrow buttons on either side of the screen shown above. 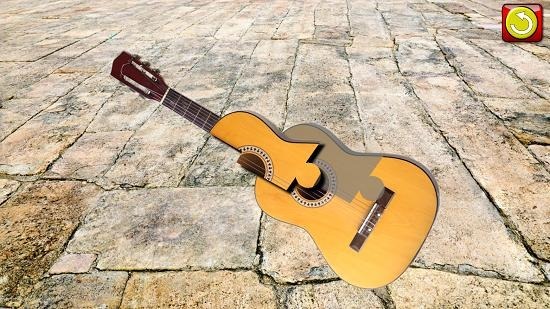 Once you have chosen a particular level that you want to play, the gameplay interface is presented where you have to drag and drop the puzzle pieces onto the outline of the instrument shown in the background. Upon completion of the level, the sound of the instrument shown will be played back to you. You can restart the level at any time by clicking on the rounded arrow button at the top right corner of the screen. This is a wrap of the main features of this app! Kids Musical Jigsaw Puzzles makes for a great puzzle game app for Windows 8 and 8.1 which you can get for free from the below link. Get Kids Musical Jigsaw Puzzles.